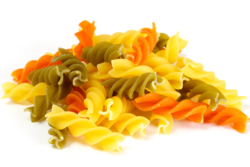 Providing you the best range of san vito durum wheat spaghetti (n.12) 500g, san vito durum wheat fusilli (n.59) 500g, san vito tricolour penne 500g, san vito durum wheat penne rigate (n.69) 500g, san vito tricolour fusilli 500g and san vito whole wheat penne (n.59) 500g with effective & timely delivery. 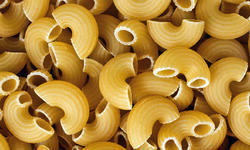 Durum wheat semolina pasta is an all-time classic of Italian gastronomic culture and is the core of San Vito products. It comes in dozens of versions, in different shapes and types, to satisfy the tastes of those who eat it and the inventiveness of those who prepare it. 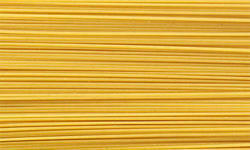 At San Vito, we only produce top quality pasta in keeping with tradition. One type of wheat is not enough to bring you this kind of excellence. This is why we select the best varieties harvested in the world, which have been matured in ideal weather conditions. 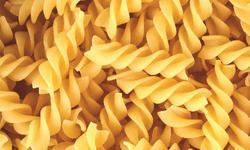 Each variety is chosen for its specific qualities: the smell, taste, colour and protein content. We create the perfect blend from all these elements. We grind it in our mill and mix the coarse ground semolina with pure, cold water from aquifer. 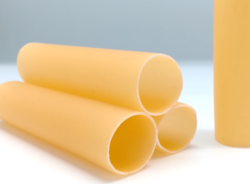 After being extruded through our cutting edge dies and dried slowly for up to forty-eight hours, San Vito pasta is finally ready. The process is long, but the recipe is simple and the same one we have followed for over the years. Thanks to the special processing method of the flours, a whole wheat semolina is produced in our mills which is obtained directly from grinding the wheat without either removing or adding anything. During the milling process, the fibres naturally contained in the wheat and the precious “wheat germ” do not undergo heat treatment which protects their nutritional characteristics and the authentic taste of the fresh ingredient. 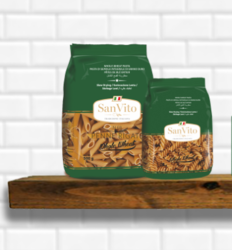 San Vito Whole Wheat Pasta provides wholesome nutrition which is rich in Fibre, Protein, Calcium & Iron. Looking for SAN VITO ?